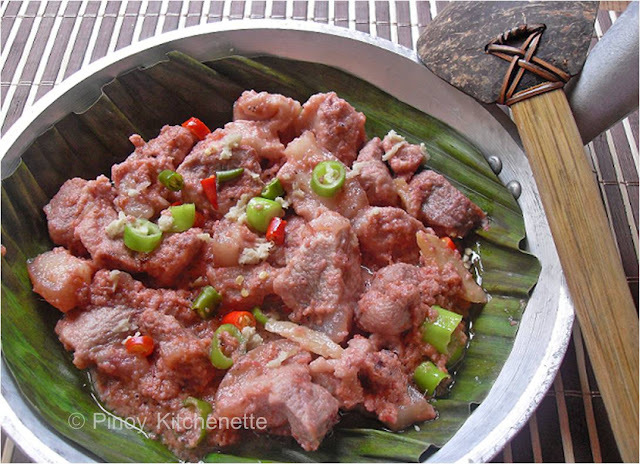 This is one popular Filipino dish I crave every once in a while. Traditionally this is done by simply sauteeing the ingredients. But adding coconut cream, what else can I tell you but Hmn!More yummy! Place the meat cubes in a bowl, pour in the vinegar. Set aside for about 10 mins. In a pan, heat oil, sautee onions and garlic. Stir in the meat. Let slightly brown. Pour in the coconut cream, sugar, bay leaves and half portion of grated ginger. 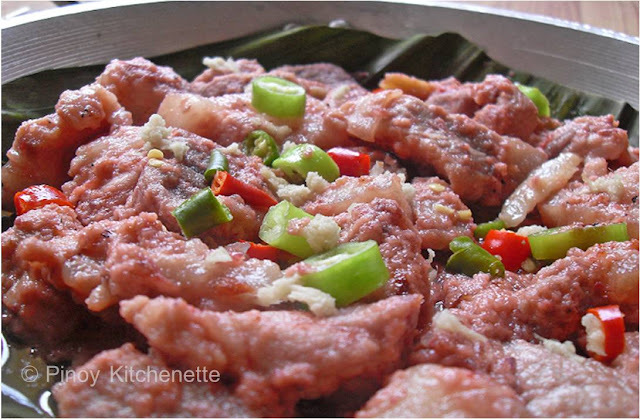 Cover and simmer for 15 minutes or until pork is tender and the coconut cream reduced. I used pork kasim (shoulder), its a tender part of pork and requires lesser time to cook. I did not add salt because the shrimp paste was salty enough. You may adjust the taste as preferred. When cooked, turn off the heat, then add the chopped chilis and the rest of the grated ginger. 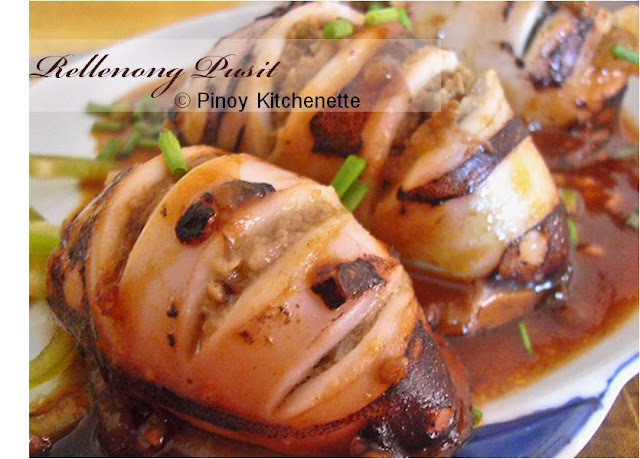 How long to marinate the pork with vinegar? Sorry i forgot to mention that, i've just added it anyway. A good 5-10 mins would be enough, no need to marinate it for long hours.